We’d love your help. Let us know what’s wrong with this preview of Adventures in Zookeeping by Sam Knight. Ever wonder how much fun it would be to be a zoo keeper if your wards included the strange, the supernatural, the not-of-this-earth? This collection of speculative fiction ranges from were-lemurs to a breeding program for a Lovecraftian horror. Edited by Sam Knight. 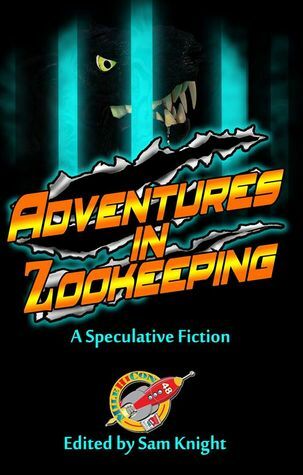 This anthology evolved from a panel at MileHiCon in Denver, Colorado, titled "So You Want To Be in an Antholo Ever wonder how much fun it would be to be a zoo keeper if your wards included the strange, the supernatural, the not-of-this-earth? This collection of speculative fiction ranges from were-lemurs to a breeding program for a Lovecraftian horror. Edited by Sam Knight. To ask other readers questions about Adventures in Zookeeping, please sign up. A bunch of authors from a SF convention (MileHiCon) agreed each to write a SF story to fit that title. Zookeeping is chock full of speculative stories that exhibit their own unique twist on the concept of a zoo. There are a few more I’d like to feature in the categories of unexpected zoo and the horror of the unknown. As Mark has pointed out above, zoos often reveal more about the keeper than the creature. In these stories the juxtaposition of human hubris and the nature of the unknown produce a delicious chill. In “Glass Fairy” a child stomps her foot to get her way. She wants a pretty glass fair Zookeeping is chock full of speculative stories that exhibit their own unique twist on the concept of a zoo. There are a few more I’d like to feature in the categories of unexpected zoo and the horror of the unknown. As Mark has pointed out above, zoos often reveal more about the keeper than the creature. In these stories the juxtaposition of human hubris and the nature of the unknown produce a delicious chill. A Colorado native, Sam Knight spent ten years in California's wine country before returning to the Rockies. When asked if he misses California, he gets a wistful look in his eyes and replies he misses the green mountains in the winter, but he is glad to be back home. As well as being part of the WordFire Press Production Team, he is the Senior Editor for Villainous Press and author of four childre A Colorado native, Sam Knight spent ten years in California's wine country before returning to the Rockies. When asked if he misses California, he gets a wistful look in his eyes and replies he misses the green mountains in the winter, but he is glad to be back home. As well as being part of the WordFire Press Production Team, he is the Senior Editor for Villainous Press and author of four children’s books, three short story collections, two novels, and more than a dozen short stories, including a Kindle Worlds Novella co-authored with Kevin J. Anderson.